And that hurt stifled me for a moment. It distracted me and pulled me off course, because that’s what hurt does. It causes you to doubt your calling, your talents, your dreams, your beliefs…your core. Hurt is capable of building only one thing…barriers. These blockades are smoke screens…illusions brought to life by hurt but sustained by your own fears. And they are designed to stop you. 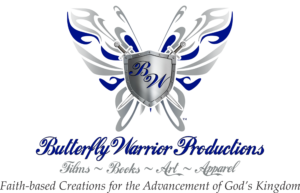 I’ve wasted a lot of time in my life pulling down, breaking down and tearing down the barriers that come with hurt. That’s time that should have been spent building things up, creating and bringing good things into existence. Hurt and those who deliver it to your doorstep don’t want you to craft anything positive. Hurt is destructive, and it’s one mission is to destroy. What better way to destroy than to sabotage the creative process of a prime mover? You guessed it…I’m angry. Very angry. Some will tell you that anger is destructive. Not always. Becoming bitter or mad, now those are emotions that are always destructive. Bitterness is corrosive and will eat away at the heart of you. And becoming mad is the equivalent of unleashing a savage beast into a room and watching it devour everything in sight. But anger…anger, when used appropriately, can be a good thing. Even God becomes angry. Anger shows that you stand on principle, purpose, passion and personal power. And when either of those 4 things are infringed upon, you show up…fight ready. Simply put, when anger is used properly, it can fuel your determination. It is through determination that principles are formed. It is through determination that purpose is realized. It is through determination that passion is felt. It is through determination that personal power is achieved, strengthened and sustained. And these things are worth becoming angry over and fighting for. I love female fighters. Any tough females, really. 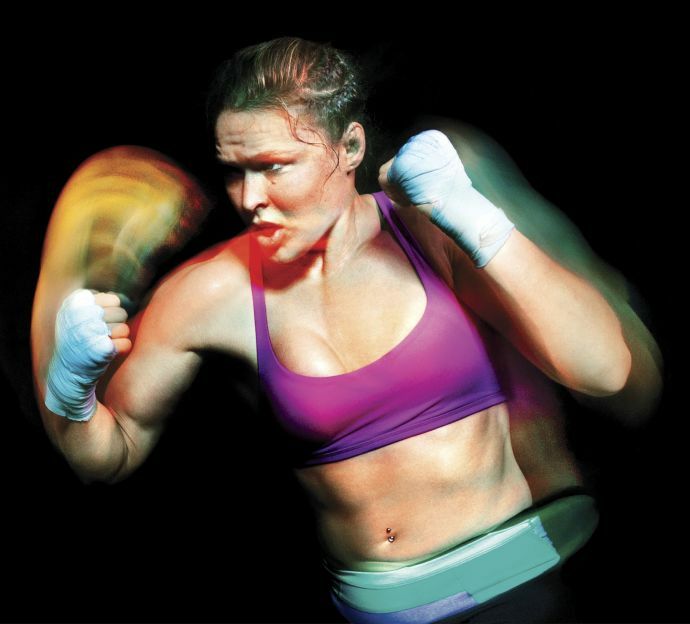 Laila Ali, Mia St. John, Gina Carano and yes, “Rowdy” Ronda Rousey (pictured above). They remind me of my tough side…my days of firefighting and martial arts training; weightlifting and co-ed softball teams; gun-toting security officer detail (Oh yeah, I did that!). I love when pretty girls are tough. I love the personal power that comes from having the choice to respond to situations either tenderly and soft-spoken or assertive and fiercely booming. I like knowing that I can take care of myself if need be. And if I’m to be completely honest, I love the look of shock on people’s faces…you know, people who love judging books by their covers. Yes, I love a dropped jaw! But lately, I feel that people around me have forgotten how strong and capable I am. Perhaps I have forgotten a bit, as well. The hurt has caused me to lose sight of that. I used to fantasize about being a boxing or mixed martial arts champ. Sometimes, I still do! And in the fantasy, I see myself coming out, approaching the ring, fight-ready, game face on, hood over my head, music bumpin’, losing myself in the moment. I’m doing that today, but I’m no longer fantasizing. This is real life, and I have only one to live. I’m stepping into the ring, and I’m ready to fight. And today, I am standing on my principles, focusing on my purpose, feeling my passion and tapping into my personal power. I will not waste another moment giving credence to the negativity brought on by another. I will be too lost in my moment to care. Let Anger Fuel Determination…then Lose Yourself! What fuels your determination? What sparks your fight? Please share in the comments below. Because of its duality, love and anger/rage are equally powerful. It is my experience that when either is launched in a full throttle way the power generated can become a force that consumes even the most grounded of humans. This is why I feel that conscious awareness is key in managing the varied states of anger and love. Pain and hurt, oh pain and hurt, how deceptive they can be at times, yes?